The 2014 Winter Olympics were held in Sochi Russia and both Men’s and Women’s Teams were sporting Jesse’s Paint work. Tuukka Rask of the Boston Bruins (NHL)played for team Finland wearing his Vaughn Pro’s Choice mask which featured a Lion a top the forehead Grabbing two Finnish flag that draped the sides with SUOMI on the Chin. He Brought home the Bronze medal for Finland. 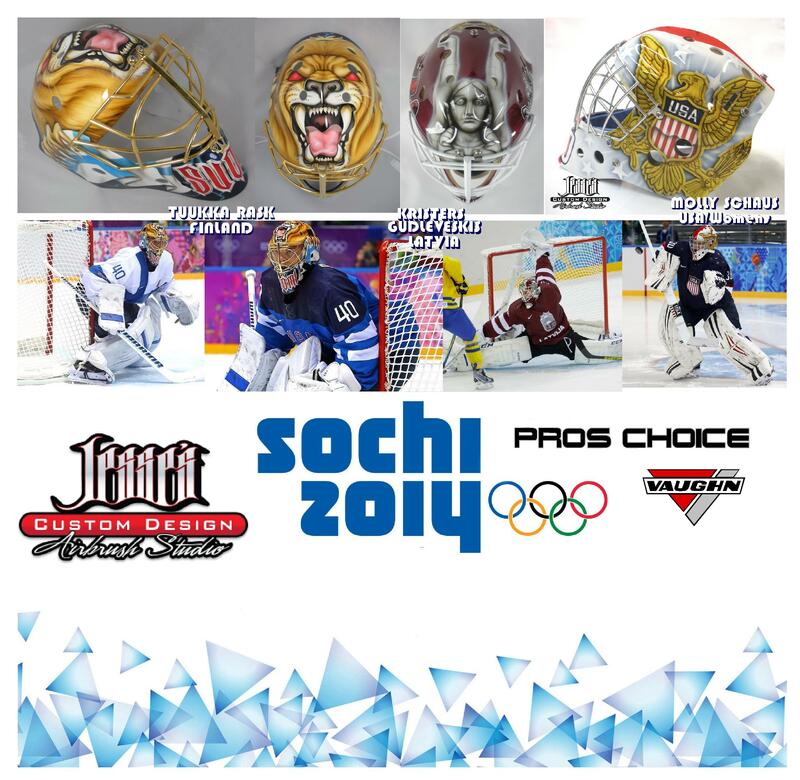 Kristers Gudlevskis of the Syracuse Crunch (AHL) Tampa Bay Lightning (NHL) played for team Latvia wearing his Vaughn Pro’s Choice mask which featured the lion & Griffin of the Latvia crest on either side. As well as the Latvian Liberty Statue is a monument to independence in Riga atop the forehead.